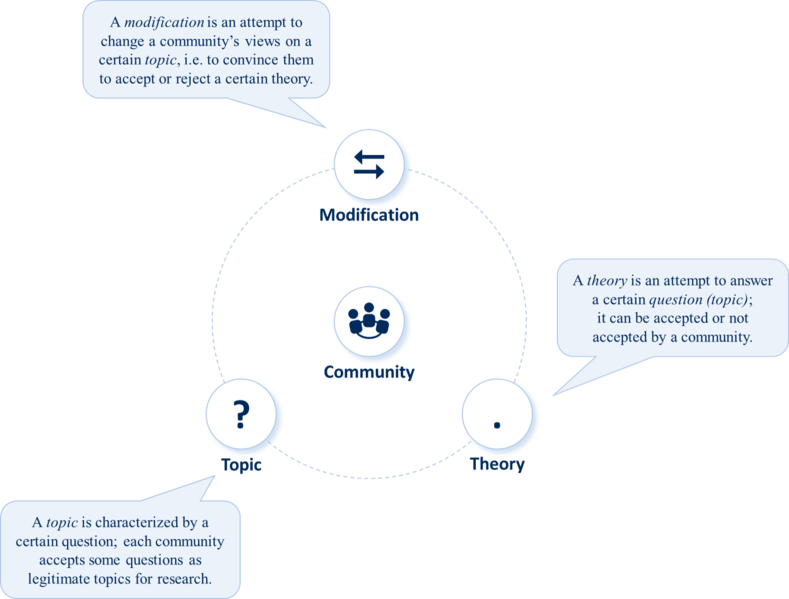 Suggest Modifications: The goal of this stage is to advance the scientonomic theory and our knowledge of scientific change by proposing modifications to the theory. These suggested modifications are published and properly documented. In principle, these modifications can be published in any journal which uses the scientonomic mechanism of modifications. At the moment, there is only one such journal, Journal of Scientonomy. This encyclopedia documents each suggested modification. Document Changes: The goal of this stage is to document all the changes in our knowledge of scientific change. 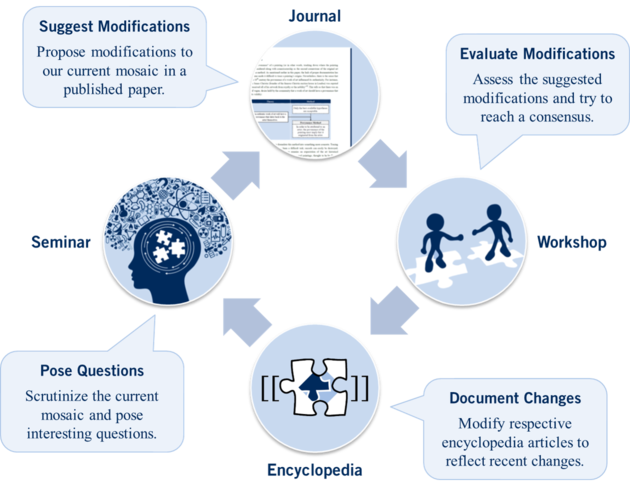 If a modification is considered acceptable by the community, then the respective articles of this encyclopedia are modified to reflect that change. If a modification is considered unacceptable, then the respective verdict is documented for that modification. The primary role of this encyclopedia in the scientonomic workflow is to fix the current state of scientonomic knowledge, document all suggested modifications, and list open questions. One great advantage of this workflow is that, at any moment of time, the community has a very good idea as to where it stands, what theories it currently accepts, what open questions it tries to answer, what modifications have been proposed and how they have been assessed. This workflow reflects the belief of the scientonomic community that only piecemeal and transparent advances can lead to progress in our field.